A video from the Folger Library showing how to handle fragile rare books and other items. An excellent brief introduction to handling Rare Materials. 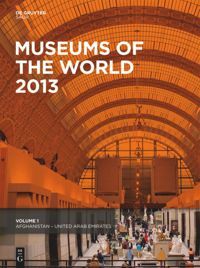 Covers more than 55,000 museums in 202 countries, listed hierarchically by country and place, and within places alphabetically by name. Covers American Museums. Lists 15,400 institutions of every size and type in all 50 states.